Following the screening of two films from the Brazilian state of Pernambuco, UCLA's Randal Johnson led a discussion about the unique school of film emerging in the country's northeast. UCLA International Institute, October 13, 2016 — Pernambuco, the Brazilian state long famed for its beaches and carnivals, is now emerging as a cinematic powerhouse. Two films from the state, “João Heleno dos Brito” and “Big Jato,” were screened in UCLA’s James Bridges Theater on October 5, 2016, as part of Pernambuco Beat Week. The weeklong celebration of the arts and culture of Pernambuco was sponsored by the Brazilian Ministry of Foreign Affairs, the UCLA Department of Spanish and Portuguese, the Brazilian Digital Channel International and the UCLA Center for Brazilian Studies. “João Heleno dos Brito” (a Brazilian name which sounds remarkably like “John Lennon of the Beatles” in Portuguese), directed by Neco Tabosa, is a slapstick, western-style short film detailing a bloody feud between two families. 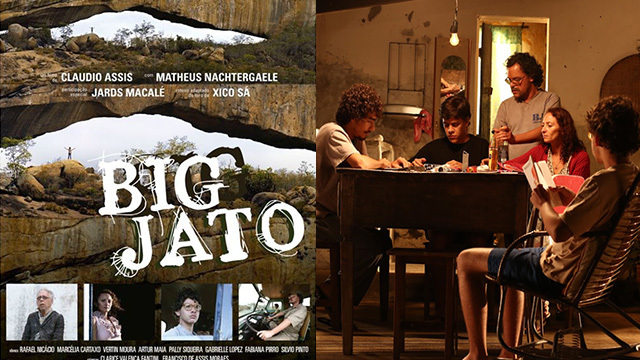 The slightly more serious feature film, “Big Jato” (Portuguese for “Big Jet”), directed by Cláudio Assis, follows a teenage boy from the interior of Pernambuco whose dreams of being a poet are derided by his alcoholic father. Both films juxtapose absurdist humor with melancholy to highlight the culture of Pernambuco. The directors cleverly utilize Beatlemania and septic tanks, respectively, as both symbols of the challenges of provincial life and metaphors for their characters’ longing for different lives. Bright colors abound, as do shots of the beautiful natural landscape of Pernambuco. The role that place, family and home play in forming identity was also explored in each film. 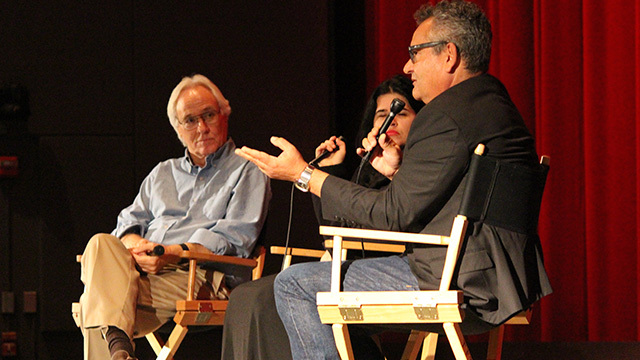 Following the screenings, UCLA Distinguished Professor of Spanish and Portuguese Randal Johnson hosted a panel with Pernambuco film industry insiders Karina Galindo, a cultural film producer, and Ivan Cordeiro, a filmmaker from Pernambuco’s capital city of Recife. 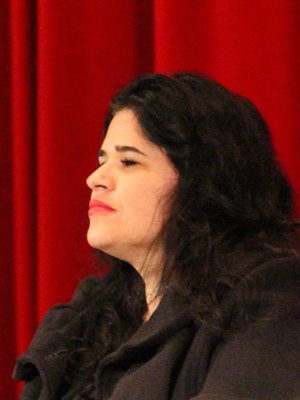 Johnson originated the Brazilian Film Series of the UCLA Center for Brazilian Studies, in which recent films from Brazil are shown the first Wednesday evening of every month at UCLA, usually followed by the discussion with the director. The series is cosponsored by the UCLA Department of Spanish & Portuguese abd made possible by the generosity of the Brazilian Ministry of Foreign Affairs through the Consulate General of Brazil in Los Angeles. The uninhibited, unafraid and organic tone of cinema from Pernambuco has been preserved to this day. Cordeiro attributes this tone to the school of film typical of northern Brazil, not formal film training. “You don’t need to go to film school to make films,” he said. “You make films by making films and watching a lot of films. “Our country has its memory, and cinema is an amazing medium to preserve that memory,” insisted Cordeiro. With steady growth in Pernambuco’s film industry and countless young filmmakers from the region gaining traction and support, the films of Pernambuco will be preserving those memories for years to come.